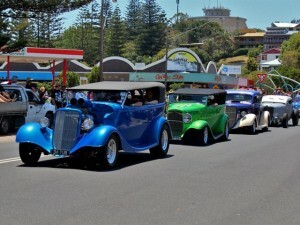 This year’s Yamba Rod Run will all happen for 3 days from Friday 14th November. Modern and Vintage Rods roll through Yamba Streets adding colour and atmosphere to the sun and surf that Yamba is famous for. Call The Cove team on 0266030300 for great accommodation deals or use our easy contact from. Call The Cove team on 0266030300 for great accommodation deals.